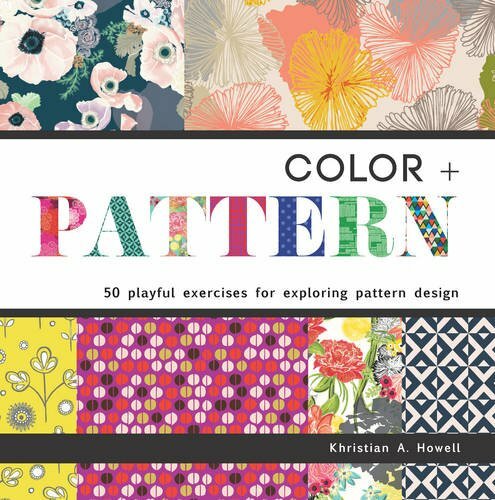 Color + Pattern is a book of ideas and inspiration for pattern makers and artists. Unlike other books that show only examples of pattern art, this book goes further and includes many ideas and activities that you can embark on to get inspired and create your own art. The numerous visual examples serve as a good reference to spark more ideas. You'll find that you can create patterns inspired from imagination, get ideas from nature or even the streets that you walk by everyday. There are lots of interesting subject matter used by various artists and designers in the book. There are examples of how those patterns are used, such as to make clothes, wallpaper, pillow cases, cards, bags and other beautiful merchandise. Interviews with several designers are also included, such as with Jessica Swift, Rachael Taylor, Abi Hall, Arrolynn Weiderhold, Jenean Morrison, Elizabeth Olwen, Leah Duncan, Michelle Fifis, Stephanie Corfee and many more. This is an inspiring and insightful book. Highly recommended to all who loves pattern art.